Posted By Alan, 23rd Nov 2017. 3 Minute Read. Toilets… not exactly the most sensational item to talk about I’d agree but getting the wrong loo for your bathroom or cloakroom can really drive you potty! Close coupled toilets add a totally modern style to suit any contemporary setting and lots of models come with eco-friendly flush options too. 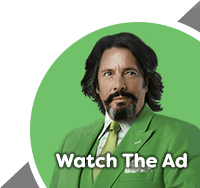 As always, our WYB (What’s Your Budget) team is on hand to ensure buying the best close coupled toilet on a budget is made easy and hopefully a bit more fun too! What’s your budget for a close coupled toilet? Can you buy a close coupled toilet for less than £150? WYB finds out! Unlike traditional high level toilets which have a connected cistern way up high on the wall or wall hung toilets which have concealed cisterns hidden away, a close coupled toilet is a compact loo which consists of a toilet pan and cistern; which are neatly fused together and generally manufactured as back to wall designs. This compact and very tidy design makes close coupled toilets incredibly modern and extremely practical for the majority of today’s contemporary bathroom layouts, although there are traditional styles available for those who prefer classic styling. 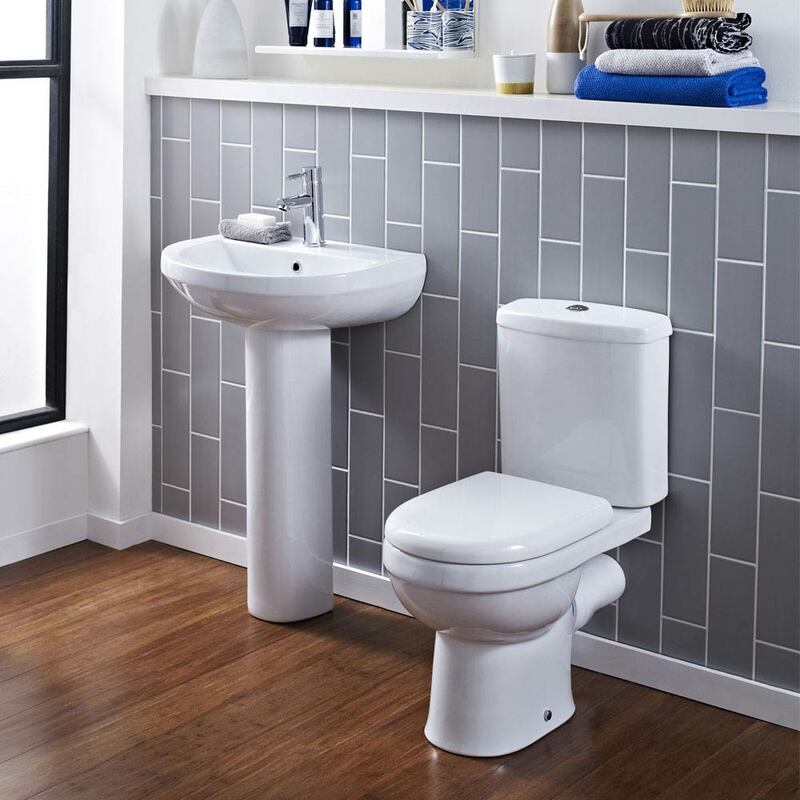 Toilets can surprise many first-time buyers as it can be very easy to spend £700 plus on a new toilet, and that can be before you’ve even factored in the additional accessories including toilet seats and cistern levers which don’t always come with the toilet itself. Close coupled toilets aren’t the most expensive type of toilet you can buy but depending on the brand and features it can be quite easy to run over a £150 budget. Before you buy a close coupled toilet make sure you have the right sizes. If you’re working with a small bathroom space then look for toilets with a short projection profile. Short projection is basically the depth of the toilet or how far it sticks out! Smaller bathrooms, en suites and cloakrooms will also benefit from close coupled toilets which have reduced width and height as they take up as little space as possible. If you’re fortunate enough to have a medium to large bathroom space then you could opt for a compact toilet or go for one of maximum height, width and depth as filling the room may be more desirable for you. Are there close coupled toilets under a £150 budget? The good news is that there is a huge range of close coupled toilets you can buy with a £150 budget. There are many which don’t compromise on style and quality, however lots of choice can sometimes make it difficult to choose the best one for your bathroom. Below we’ve picked out 5 excellent close coupled toilets which you can pick up for less than £150 to help you make a quick and well informed decision! In a recent poll we ran on social media the modern style and beautiful design of the Sofia close coupled toilet made it a top choice even though it was the cheapest toilet in the 5 nominations. It comes with a 5 year guarantee so you know it’s built with quality in mind and it also comes with a soft closing seat and a dual flush control to help save water! What could you buy with the change? This close coupled toilet actually comes in under £100 which makes it one of our best budget toilets! It means there’s enough left over to buy a soap dispenser to stay hygeinic in style! If you’re in need of some serious space-saving then loo-k no further than the RAK series 600. This close coupled toilet is a short projection option with a very slim design. The 25 year guarantee backs up the excellent build quality and and it’s perfect for en suites, cloakrooms and tiny bathrooms; the easy clean feature is just an additional bonus I guess! What could you buy with the change? This close coupled toilet stretches a £150 budget to the limit but who needs change when you’ve got everything you need in one small, but very stylish, package! If you’re aiming for a period look in your bathroom then the Premier Carlton close coupled toilet is certainly worth your consideration. Built with high quality vitreous china, this traditional toilet is designed to last and it also comes with all the fixtures and fittings necessary to get it up and running, making it superb value for money! What could you buy with the change? 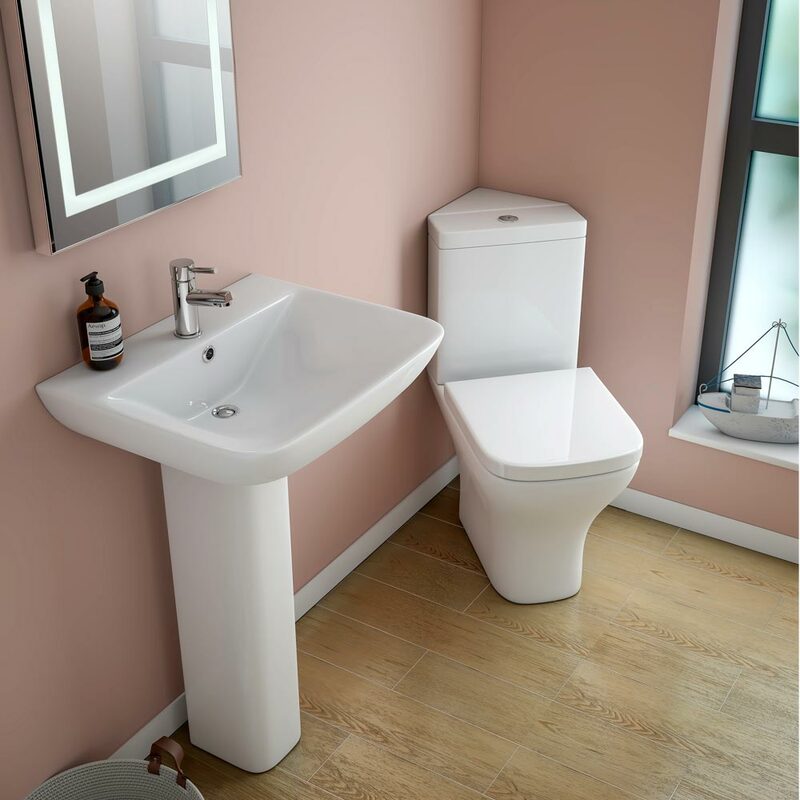 The Premier Carlton comes in at just under £110 and leaves you with around £40 left over from your budget to put towards the matching washbasin. If you’re feeling cornered when it comes to choosing a close coupled toilet then you may want to consider the Venice corner toilet! It sits neatly in awkwardly shaped bathrooms and makes the most of hard to use corner space. 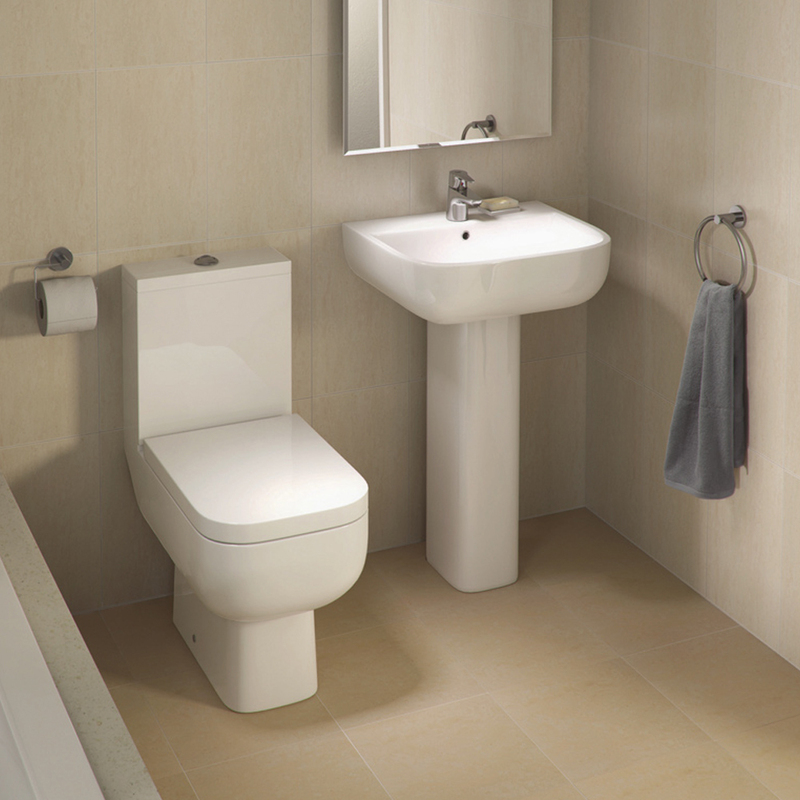 This practical modern designer toilet comes with a 5 year guarantee and dual flush controls to help save water. Everything is included in this toilet package which also includes a soft close seat! What could you buy with the change? When you purchase the Venice Corner close coupled toilet you’ll receive everything you need. It’s a real budget stretcher but certainly worth it! Traditional close coupled toilets are slightly harder to find which means options are limited but, don’t confuse limited options with limited quality and style. 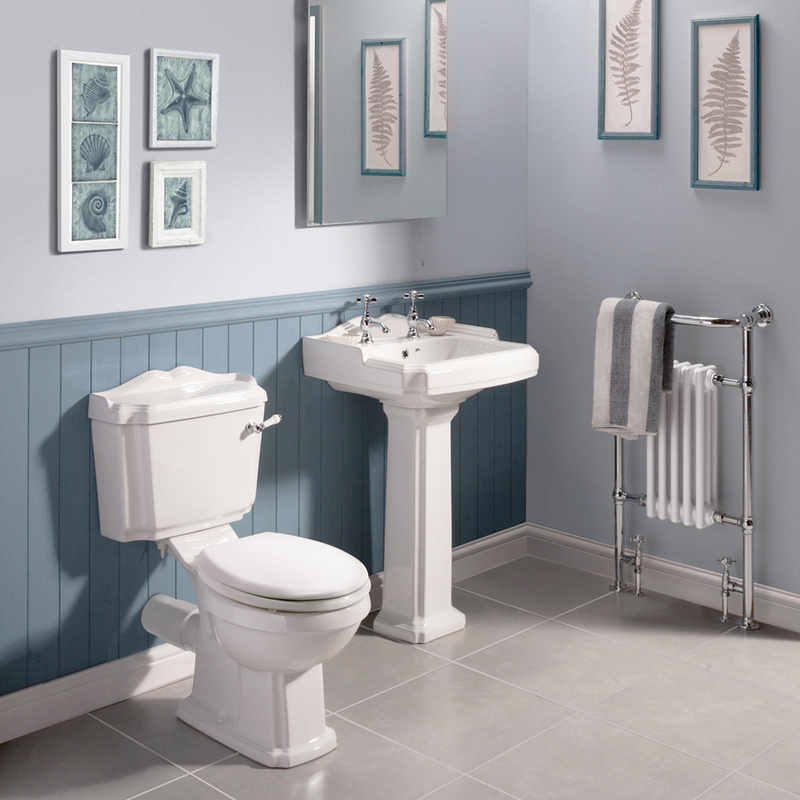 Meet the Oxford close coupled traditional toilet! This elegant design is the perfect addition to a traditional bathroom design and it comes with a 5 year guarantee to add complete peace of mind. What could you buy with the change? 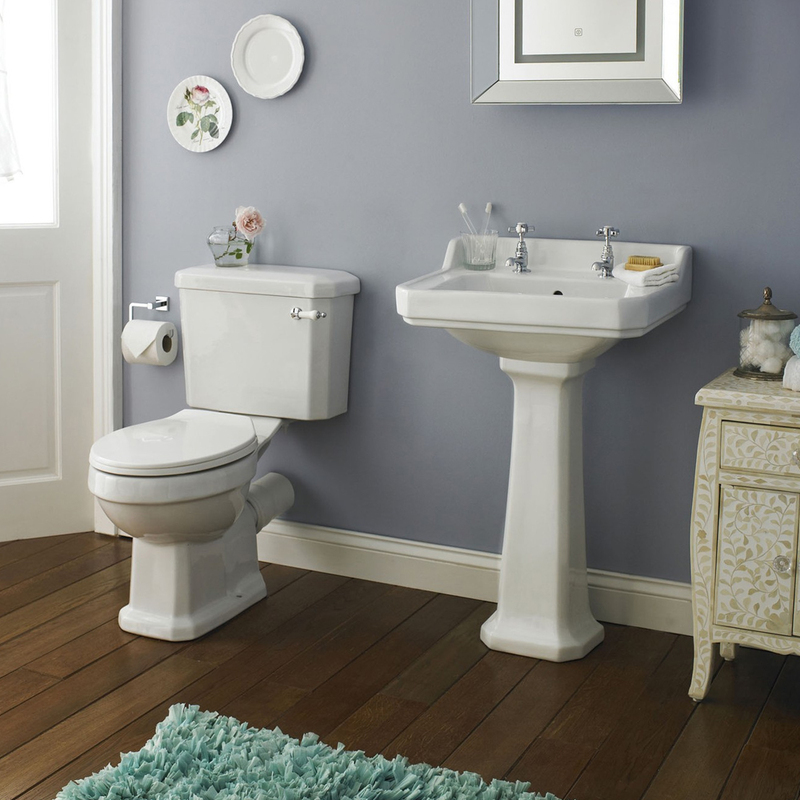 The Oxford close coupled traditional toilet costs less than £150 which means your budget will allow for a stylish toilet seat or a classic cistern lever! What Can A £150 Close Coupled Toilet Budget Do For You? As you can see from the 5 fantastic options above, £150 can certainly go a long way when purchasing a new close coupled toilet. There are multiple styles and designs to suit almost any taste and the best part is that quality isn’t compromised too! It’s important to note that some close coupled toilets don’t come with seats or cistern levers so if you do have a £150 budget then it’s a good idea to check what comes with your chosen loo! As with all our WYB features we aim to choose items that can be bought and completed within budget but if you’re looking around it’s something to keep in mind! We hope you enjoyed reading this week’s What’s Your Budget feature and found it useful for finding budget close coupled toilets. Now that you've chosen a toilet, you might be considering fitting it yourself. Why not use our DIY guide How to install a toilet to give you an idea of the work involved and how much it will cost in time and money should you want a professional to do it for you. We’d love to hear from you if you have any suggestions or feedback relating to our WYB feature and, as always, share this with your friends or family if you think it will help them with their search! All prices are correct at time of writing this article 13/10/2016.